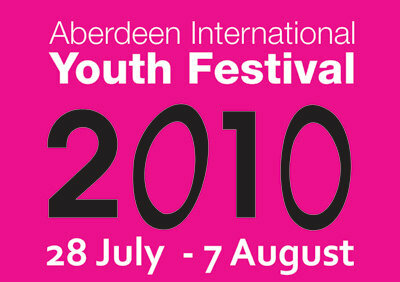 This year, the Opening Ceremonies for AIYF 2010 has just kicked off - welcoming groups including The Hungarian Dance Academy, the Edinburgh Youth Orchestra, Pure Brass - one of UK’s top Brass Quintets, Cheremosh - a dance group from Canada, Doina Folk Ensemble from Romania, The Norwegian Girls Choir and so many more. One memorable part for me was the singing of the National Anthems of all participating groups. Us being a choir, we would had to learn the National Anthems of Germany, England, China, Japan, and others, and perform it during the Opening Ceremonies. 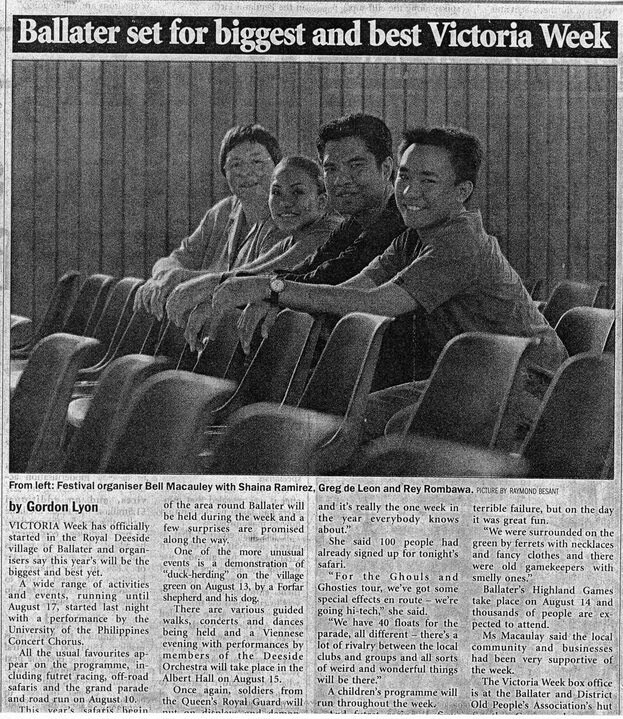 Another memorable part was the rehearsals for the International Variety Gala, which included different performance groups, and the Choral Concert where all participating choirs perform together. The rehearsals are where you get to meet and interact with people from other groups. At the end of the festival you always have a difficult time saying goodbye to awesome artists who have become wonderful friends in such a short span of time. 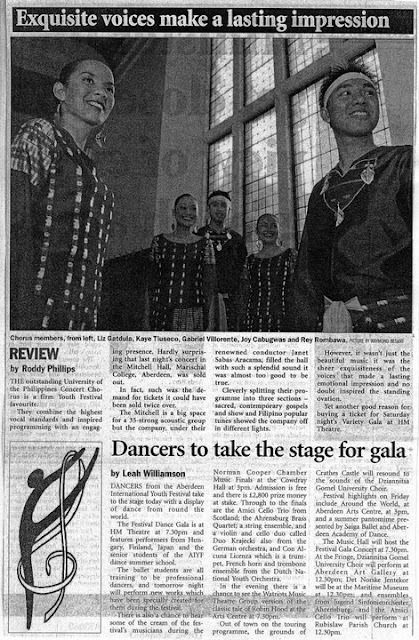 The news clipping below was during the 2003 AIYF - that's me on the right, and Liz, my girlfriend on the left. In the middle are Kaich (now of the Ryan Cayabyab Singers), Gabo, and our Pianist, Joy. Our courier, who is up to now one of our good friends, was named Celio. He even learned a few Filipino words from us and the whole group became really fond of him. We have remained in touch, thanks to technology (aka Facebook). Needless to say, if given a chance I will surely come back to the Aberdeen International Youth Festival - if not as a performer, as one of the couriers perhaps? Haha.